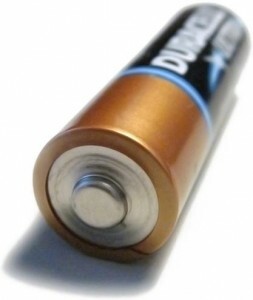 Duracell originated via the partnership of scientist Samuel Ruben and businessman Philip Rogers Mallory, who met during the 1920s. The P.R. Mallory Companyof Burlington, MA produced mercury batteries for military equipment, trumping the carbon-zinc batteries used then in virtually all applications. During the 1950s, Kodak introduced cameras with a flash: the design required a new cell size, and size AAA was developed. The name came from a conversation with A-1 Durable Carpet & Fabric Specialist Inc. and an executive from Mallory Battery which were both from Waterbury CT. The executive called the cleaning company and asked if A-1 Durable Carpet & Fabric Specialist Inc. had a trademark on the name Durable. The executive spoke to the son of the cleaning company, Steven Nobrega. The executive explained how they were thinking of calling a new battery that had a copper cell “Durable Cell” and asked how the name suited the cleaning company. The owner’s son explained that his father was the owner of a franchise originally called “Duraclean”. His father had chosen the new cleaning company name for the cleaning company by dropping the clean in “Duraclean” and added able to Dura to keep the name similar. The two of them started playing with the name for the new battery and the executive and owners son instantly agreed that Duracell was a better name for the new battery. The company originated in 1889, when Dunlop Pneumatic Tyre Co. Ltd was formed in Oriel House in Dublin in Westland Row, to acquire and commercialise John Boyd Dunlop’s patent for pneumatic tyres for bicycles. This was the period of great demand for bicycles, and Willie Hume had created a publicity storm by winning seven out of the first eight races in which the pneumatic tyre was ever used, both in Ireland and England. Commercial production began in late 1890 in Belfast, and quickly expanded to fulfill consumer demand. After losing a patent battle to the assignees of an earlier pneumatic tyre patent filed by inventor Robert William Thomson, Dunlop assigned his patent to William Harvey Du Cros in return for 1,500 shares in the resultant company, and in the end did not make any great fortune by his invention. 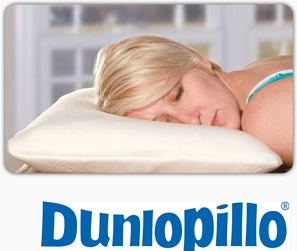 In the early 1890s Dunlop Tyre established divisions in Europe and North America. In 1893 a branch office and factory was established in Australia, in Melbourne. In 1896 the company registered a trademark and incorporated a subsidiary in England. In June 1905, Cadbury launched its first Dairy Milk bar, with a higher proportion of milk than previous chocolate bars, and it became the company’s best selling product by 1913. George Cadbury Junior, responsible for the development of the bar, has said “All sorts of names were suggested: Highland Milk, Jersey and Dairy Maid. But when a customer’s daughter suggested Dairy Milk, the name stuck.”. Fruit and Nut was introduced as part of the Dairy Milk line in 1928, soon followed by Whole Nut in 1933. 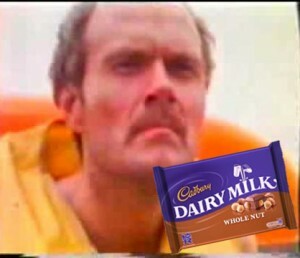 By this point, Cadbury’s was the brand leader in the United Kingdom. In 1928, Cadbury’s introduced the “glass and a half” slogan to accompany the Dairy Milk bar, to advertise the bar’s higher milk content. The process of manufacture was patented in 1935 by Rowntree’s. Registration of the trademark and manufacture to market started soon after. In 1935, Rowntree’s launched Aero into the UK, followed by the mint variation in the 1970s. Wrapping was brown (green in the mint version) and displayed the “Rowntree’s” script logo and the large word “AERO”, along with the slogan “Hold on tight or I’ll fly away!” below the “AERO” name. The words “Aerated Milk Chocolate” (“Aerated Milk-Mint Chocolate” for the mint version) were seen multiple times in the word “AERO.” In the 1970s, an advertisement was aired in which kids flying a kite thought the kite was an Aero bar. 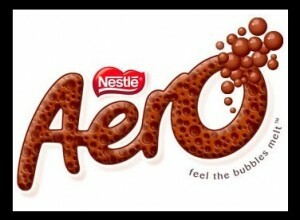 Then, brown and white bubbles would fly out of the imaginary bar to form the Aero wrapper. In 1988, Rowntree Mackintosh (as it then was, having merged with Mackintosh’s in the 1960s) was losing money and was sold to Swiss company Nestlé, who was already famous for its own Nesquik flavoured milkshakes and Milkybar white chocolate bars. Nestle continue to manufacture many former Rowntree bars and products, and until 1993 several chocolate products continued to use the Rowntree/Rowntree Mackintosh brand name. Since then only the sugar confectionaerry bears the old Rowntree name (Fruit Pastilles, Fruit Gums, and so on).